Judge Richard Leon has delayed opening statements in the Justice Department's lawsuit blocking AT&T's purchase of Time Warner due to possible inclement weather. The Washington, DC, area is expecting its most severe snowstorm of the season on Wednesday, when opening statements were initially scheduled. Even if the courthouse is open, no proceedings will take place. 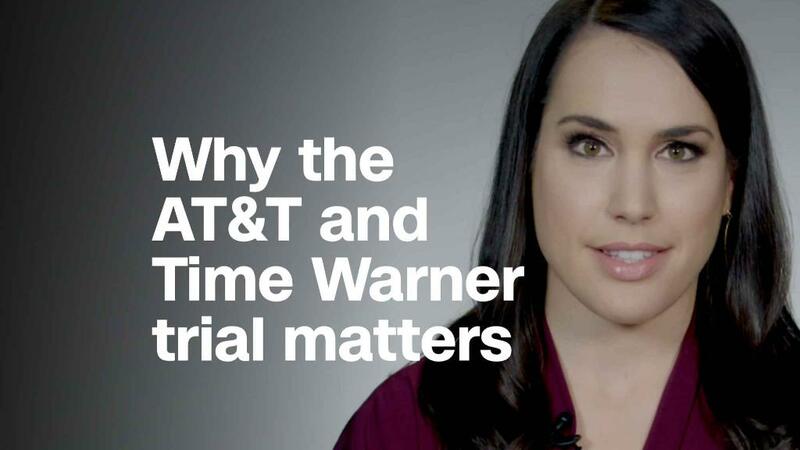 Though Tuesday was meant to focus on evidentiary arguments, AT&T unleashed a preview of its defense against the government's lawsuit to block the telecommunication company's $85 billion takeover of Time Warner. Facebook, Amazon, Apple, Netflix and Google have "completely transformed the industry overnight," AT&T and Time Warner's lead litigator Dan Petrocelli told district court judge Richard Leon on Tuesday, the second day of evidentiary hearings. "They are running away with the industry." Using the now common acronym "FAANG" for the five technology giants, Petrocelli said that the rapid growth and dominance of these internet and tech giants was one of the main reasons for the proposed merger between distributor AT&T and programmer Time Warner, which owns entities like CNN, TNT, HBO and Warner Bros.
Petrocelli told Judge Leon that their estimates show FAANG is worth $3 trillion collectively, while an AT&T-Time Warner entity post-merger would be worth $300 billion. "We're chasing their tail lights," Petrocelli said. Google and Facebook are "a duopoly and dominating the advertising world," he added. Petrocelli laid out AT&T's main argument that it needs Time Warner's content to stay relevant in an industry where companies like Netflix and Amazon both produce and distribute programming. Additionally, Petrocelli explained, Time Warner would benefit from AT&T's direct access to consumers and viewer data. Petrocelli argued that by gaining a window into viewer habits, Time Warner would be able to provide more tailored information to advertisers, bringing in more ad dollars, which in turn would lower subscription costs for consumers. The Justice Department's lead litigator, Craig Conrath, countered AT&T's point, telling the judge that entities like Netflix are not direct competitors of conventional cable distributors, and therefore should not hold much weight in the antitrust analysis. Conrath admitted that "There's been transformative change in the industry as a whole," but argued that Netflix "is not a substitute, it's mostly a complement" to conventional cable. Conrath said that the vast majority of Netflix subscribers also pay for satellite or cable TV. Conrath additionally noted that emerging skinny bundle options like Sling and DishTV would be put at a disadvantage by the merger since AT&T could be inclined to withhold Time Warner programming or offer it at an inflated rate. Any merger, Conrath contended, "threatens the ability of transformative change to happen." AT&T said in its pre-trial brief that prices would not increase significantly for consumers, and that the company would not have an incentive to keep their programming off skinny bundle options because they'd lose relevance as "cord-cutters" ditch cable and sign up for streaming services. Both sides also spent several hours arguing over which pieces of evidence and business records could be kept confidential in the trial. Judge Leon expressed concern that by allowing the government's request to keep a large number of third party business records confidential, the pace of the trial would be slowed and transparency would be limited. The government is arguing to keep several documents confidential to allow third party witnesses who represent cable companies and content distributors the maximum ability to testify about their bargaining practices when negotiating with programmers. AT&T's lawyers told the judge they will defer to his discretion on what to keep confidential and how often to close the courtroom to the public during the proceedings to keep that information secret. Judge Leon even made time for some courtroom levity, saying,"I always tell people at parties, I don't have a crystal ball. In this case I have to get a crystal ball! Maybe at one of those second-hand stores somewhere!" The last time the Justice Department sued to block a vertical merger was in 1977, when the court rejected the government's case. Judge Leon's joke was a comment on the lack of precedent on a Justice Department lawsuit against a vertical merger and how the burden of proof should fall.